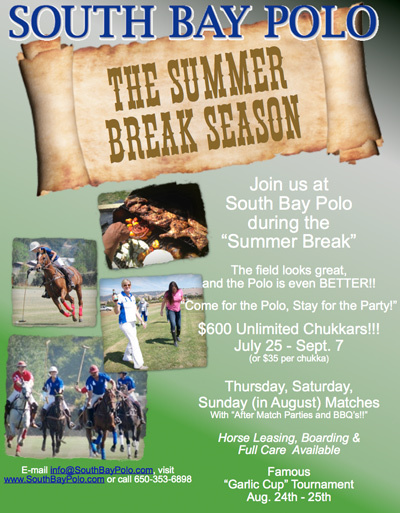 I just want to take this opportunity to invite all polo players, pros and supporters of polo to the South Bay Summer season. 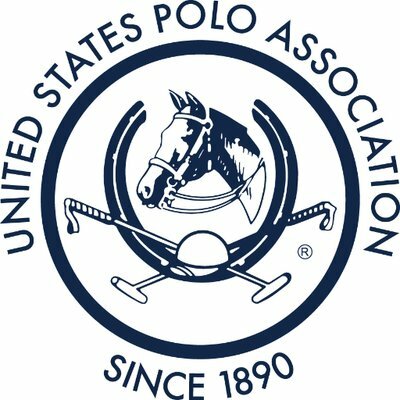 This is the time of year when both Menlo and Central Valley Polo Clubs shut down temporarily. It is also the time of year things get rocking in Gilroy. For those of you who have not yet played at our South Bay Field this year, I am happy and proud to report that our field is looking and playing great. It’s been a Labor of Love, but the hard work and investment into the field is paying off. I’m also delighted to report that we have financial commitments from several key member sponsors to install an underground sprinkler system in the fall to be ready for next season. So please join us this summer for some great polo and fabulous BBQ! See the attached flier for more information or contact us at 650-353-6898. Friends, we at South Bay Polo recognize Gilroy is known for its garlic, what better way to commemorate this than organizing the Second Annual Garlic Cup! Scheduled for August 24th and 25th, the Tournament will feature 3 flights and can accommodate all levels of play. Prizes will be awarded to the winners (including a bottle of Burrell School Wine) and a BBQ lunch will be provided on Sunday. Firestone Walker Brewing Company is sponsoring the “Divot Stomp”. Grab a craft brew help replace the divots. Tournament fees are $200 and spectators are free. Fill out the form below or contact Fran (Fran@SouthBayPolo.com or 650-353-6898) ALL RIDERS MUST HAVE FILLED OUT THE SOUTH BAY POLO RELEASE AND INDEMNIFICATION AGREEMENT PRIOR TO MOUNTING. You can download the form HERE. 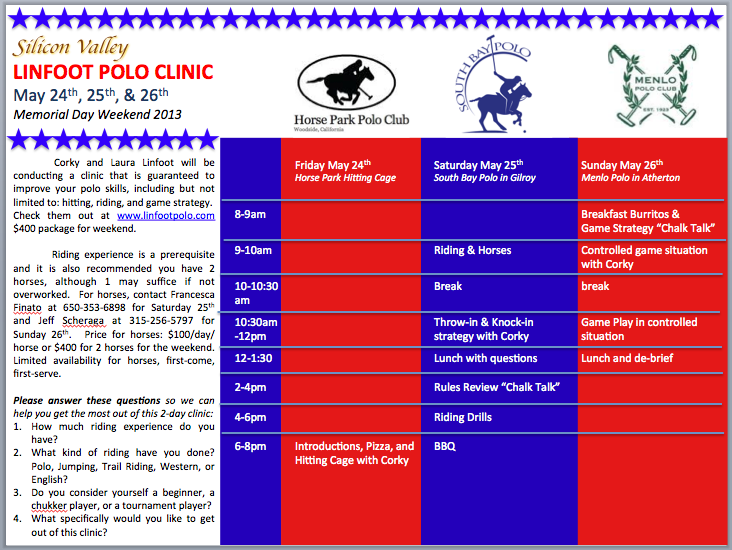 South Bay Polo was please to host Corky Linfoot for a clinic in the month of May. A Former 7-goaler, Corky has won two U.S. Opens, 4 Pacific Opens and multiple tournaments abroad. The three day clinic was split between the various polo clubs in the region, with many participating. Many a polo player hears a little voice in their head, as they play the game, and it’s usually Corky’s. “Slow Down”, “Two Hands”, “Speed Kills”, and “Own the Diamond” are indelibly ingrained in many a players head. The group consisted of advanced players to beginners. Corky had something for everyone. Friday night covered the hitting cage, and Saturday was devoted to know-in strategies, and play at South Bay Polo. Sunday was coached at Menlo Polo Club. The highlight of his clinics are the coaching and playing videos. It allows the participant to obsess over every little new suggestion or technique promoted. 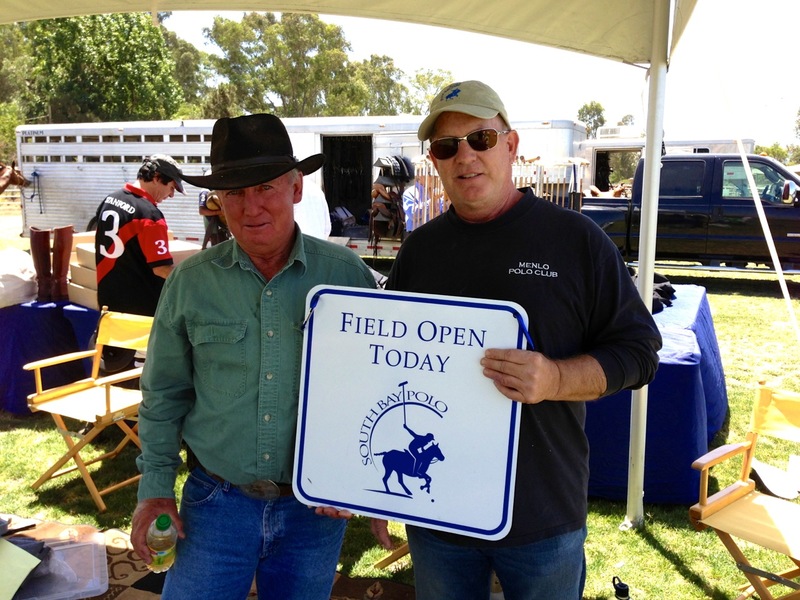 Tim Westin, owner of South Bay Polo, shown with Corky, was happy to host the clinic. As is the South Bay Polo Tradition, everyone stayed around to socialize, and enjoy a sumptuous BBQ lunch.